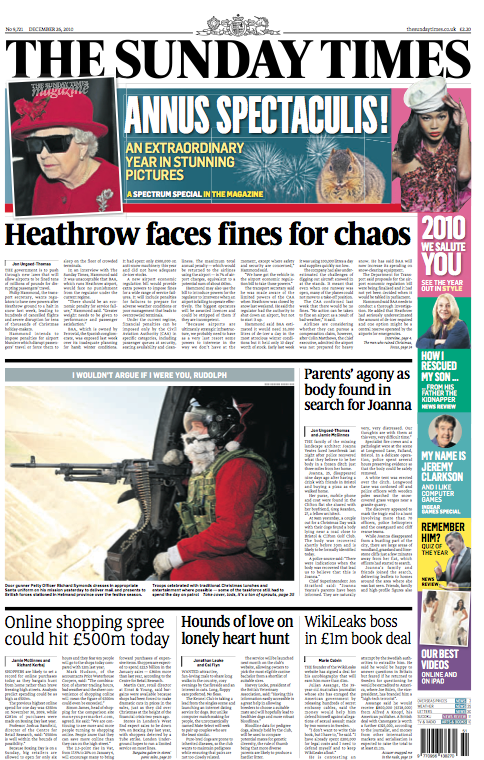 A fun front page story for a festive Sunday Times. Brilliant new Kennel Club initiative aims to combat inbreeding with a ‘matchmaking’ site, which selects the healthiest pairings. This has become necessary because some breeds have reached critical levels of inbreeding. If you’re interested in finding out more, ‘Pedigree Dogs Exposed’ is a scary and important BBC investigation into some of the poor practices among pedigree breeders. Article is here on the Sunday Times website, or full text is below.